The Oliver Archives is home to a publicly-accessible research library and comprehensive collection of archival materials. Archival records are primary sources for information. They are created by governments, companies, organizations, and individuals in the course of their normal activities. They provide evidence of the structures, policies, decisions, and operations of the recent and distant past. Community archives play a vital role in documenting and preserving your community's history and are the foundation from which our society maintains continuity with our past and preserves the present for future generations. You are welcome to come and enjoy our research facility free of charge during our regular hours of operation. We offer copying services, free wifi, work space, and access to our special collections (by appointment). We offer a range of professional archival services and can assist you with your research from afar for a modest service fee. The ODHS Archives acquires, collects, preserves, and makes accessible records pertaining to the history of Oliver and area, including the former gold mining settlements of Camp McKinney and Fairview. Archives provide evidence and information about the people, events, and activities of our communities, and are an invaluable resource. The ODHS Archives also houses unpublished and published documentary resources from both the public and private sectors of the community. "Of all national assets, archives are the most precious. They are the gift of one generation to another and the extent of our care of them marks the extent of our civilization"
We collect and house thousands of archival documents, photographs, maps, and more. PLEASE NOTE: If you have a very specific research project, or require the services of an archivist, we strongly suggest you call ahead and let us know, so we can serve you better! 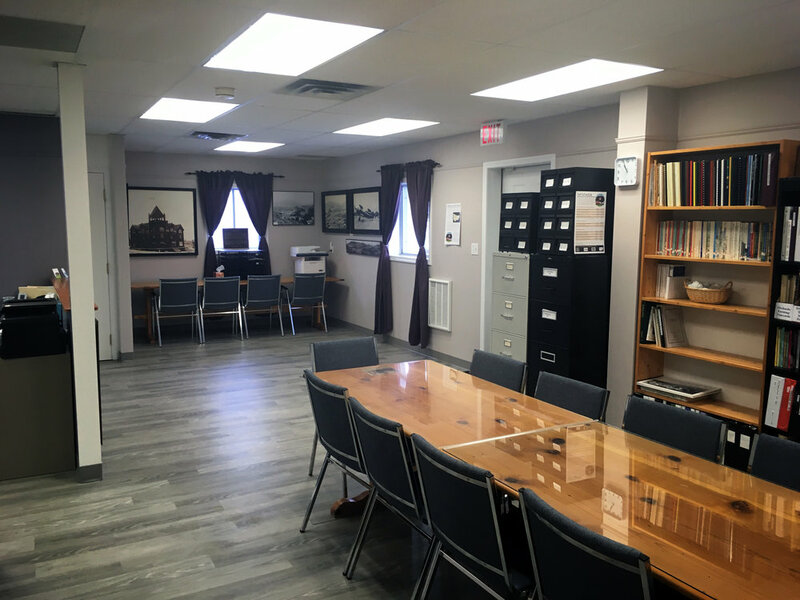 Staff are happy to show you around the space and help you get started with your research, whether you are looking for information about your family, local history, or businesses. Peruse our library of books and manuscripts on local subjects and authors, browse our Family History files and Subject files, check out binders full of photographs, and high school annuals. Enjoy our space as much as we do! We’ve gone solar! The Archives now produces electricity from solar panels installed by Argon Electrical & Solar. Curious? You can track our solar output here.